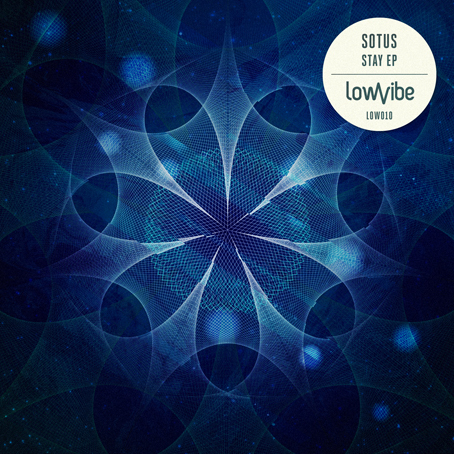 Lowvibe’s collaboration with another inventive talent Sotus, takes bass music back to where it belongs – to the deeper depths of the darken dancefloors. Raw energy and sonic voyages devolve into textures typical of music from the jungle-garage-dubstep dynasty. And this is why we proud to present “Stay EP”, since these particular effects and sounds bring to mind the sound pallet of the dancefloor anthems of the 90’s and highlights the feel of the rave dancefloor – the place where this music comes from, but also the place that it has left behind a while ago. Sotus, like a real puppeteer, creates the illusion of life and manipulates you and your deepest emotions. He offers a journey through urban paranoia, melancholy festivity, and loneliness (“Old Shatterhand”, produced with his mate Hathor) where the haunted and ghostly soundscape demands from the listener to stay focused, to be open-minded and patient, but doesn’t let you forget hope, happiness, and uplifting optimism (“Stay”; “With U”). Although you can feel the following silhouettes and half-heard voices, the music evokes a complex mixture of positive feelings and assembles undeniable beauty and purpose from its nervous fragments. The acid boogie remix of “With U”, crafted by Elemental – the pioneer of live played dubstep from London who recently moved to Bristol, hits exactly to the right mood of today’s electronic music production – fresh, positive and deep breakstep tune with nostalgic acid sounds which will definitely pull out your best emotions. Enjoy and come back for more! Buy the release on Juno or other main digital shops.